Mountain's Edge in the southwest Las Vegas Valley has been ranked by RCLCO as one of thetop selling Master Planned Communities for several years, and as you'll soon see for yourself, Pardee Homes Serrano is part of the reason why it's held near the very top. The 3500 acre build-out for this master planned community offers some incredible values. Combining this with record low interest rates makes these new homes even more affordable, in many cases less than the cost of renting, and with any added tax deduction benefits of home ownership. 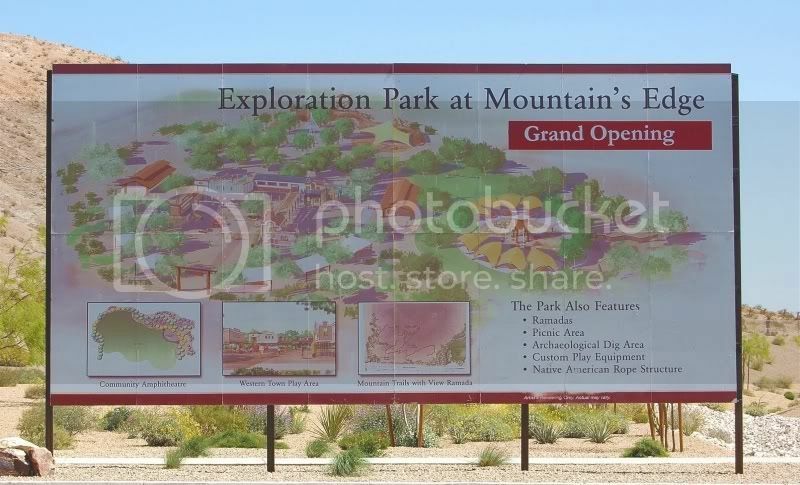 In 2007 Mountain's Edge opened Exploration Park, one of many green spaces and trails that are planned and built as the community grows. Country in the Park is one of the community events held annually, and year round it is a place to play, hike, and enjoy the outdoors. I've included a small glimpse of the park in the Serrano tour. In today's home market there is so much focus and media attention to foreclosures and short sales, often creating the impression they offer the best 'deal'. That may be true, or not, depending on the individual home, it's condition, and the buyer's individual wants and needs. A home buyer must also consider that there are risks involved in foreclosures that are sold as-is, and some uncertainty involved in short sales. It's also quite possible that maintenance may have been neglected by owners choosing not to invest more into a home they are going to lose. This was a consideration I myself had to make when purchasing my own home, a rare to be found bank owned foreclosure during the housing boom. At that time, the wide price differential between it and new made the decision much easier. 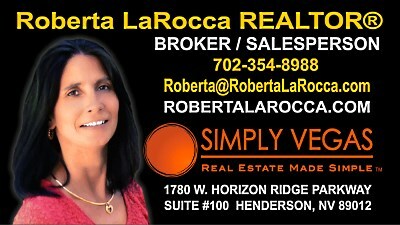 Today in the Las Vegas home market new homes are often very competitively priced when compared to foreclosures, short sales, and resale homes. Add the builder's new home warranty, any customization you may chose, and any discrepancies typically corrected from the final walk-through, and these truly move-in ready homes can be worth considering. At Serrano, you'll find may standard features included that are often considered as additional cost upgrades. Granite Kitchen Countertops, Stainless Steel Appliances and Kitchen Sink, Beech Cabinets, GE washer and Dryer, Garage Door Opener, and Energy Efficient Radiant Barriers are currently being offered. These items, along with other potential incentives, add to the value you would receive for your investment. At the moment, Serrano offers 3 home models each offering a choice of 3 different floor plans to chose from, with some optional room changes available at additional cost. The homes range from 1850 sf to 2682 sf, with base pricing currently listed from $203,950 to $230,450, or a range of roughly $85 to $110 per square foot. A report earlier this year indicated that banks were making $80 per sf on foreclosures and $130 per sf on short sales, placing these new homes within that range. This is why I feel my clients should explore all their options before making their home buying decision, instead of assuming what offers the best value and fits their lifestyle. I must also add this caveat about new homes: Always shop for YOUR best Buyer's Agent FIRST. By requesting information or registering online, or by making your first visit to any builder's homesite without your agent present, you will be giving up YOUR RIGHT to having YOUR own representation in the transaction. As with the majority of home purchases including foreclosures, short-sales, and resales, these services are at no additional cost to the home buyer, as any fees are typically paid by the seller. 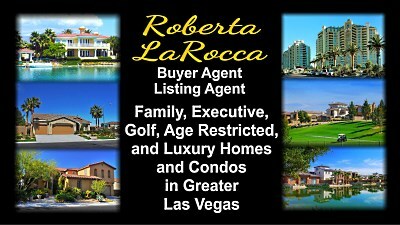 I'd also suggest reading my blog series about why you need a Las Vegas Home Buyer's Agent. 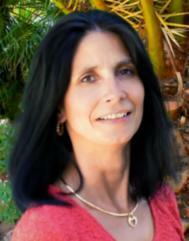 to assist you with any home purchase decisions. Now on to the photo tour of Serrano by Pardee Homes at Mountain's Edge. It can be viewed full screen and volume adjusted by using the controls on the bottom of the player. If the XML Flash player isn't embedded in a syndicated location where you may be viewing this post, Click Here. You can also see the rest of my Las Vegas Photoshows Here, that covers a variety of communities, events, and recreational opportunities that are hidden away here in the Las Vegas Valley. 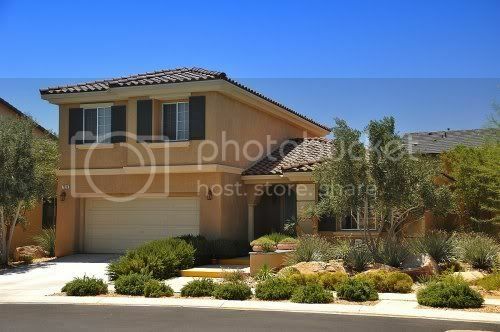 This photo tour is also available on my Real Estate Las Vegas Living Channel on YouTube, and the pictures on my Google Picasa Album as Enlargeable Stills or as a Slideshow. This provides you with a variety of media options, and you can decide which format suits you the best. I hope the tour gives you a better understanding of what Serrano and Mountain's Edge may have to offer you, and a small sample of what home and life styles can be found here in Las Vegas.